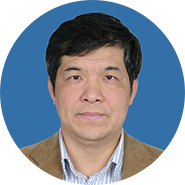 Wenbin Li, Male, 53 years old, Chief Physician, Professor, Doctoral Tutor; Director ofComprehensive Treatment Ward of Neuro-Oncology, Beijing Tiantan Hospital, Capital Medical University (CMU); Deputy Director of Glioma Clinical and Research Center and Deputy Director of Department of Oncology, CMU; Vice Chairman of Drug Clinical Research Specialty Committee, China Pharmaceutical Innovation and Research Development Association (PhIRDA); Standing Committee Member and General Director of Glioma Specialty Committee, Chinese Medical Doctor Association (CMDA); Director of Department of Journal Publishing, Chinese Anti-Cancer Association (CACA); Standing Committee of Neurological Oncology Specialty Committee; Editorial Board of Journal of Cancer Biology & Medical; Editorial Board of Chinese Journal of Clinical Oncology; Honorary Research Fellow at University of South Florida; Foreign Academician of the Royal Society of Medicine. He is very skilled at chemotherapy of intracranial malignant tumors and studies on the drug clinical trials. He is in charge of two novel drugs in phase I clinical trial, which belong to National Science and Technology Major Project for “Significant New Drugs Development” during the 13th Five-year Plan period.